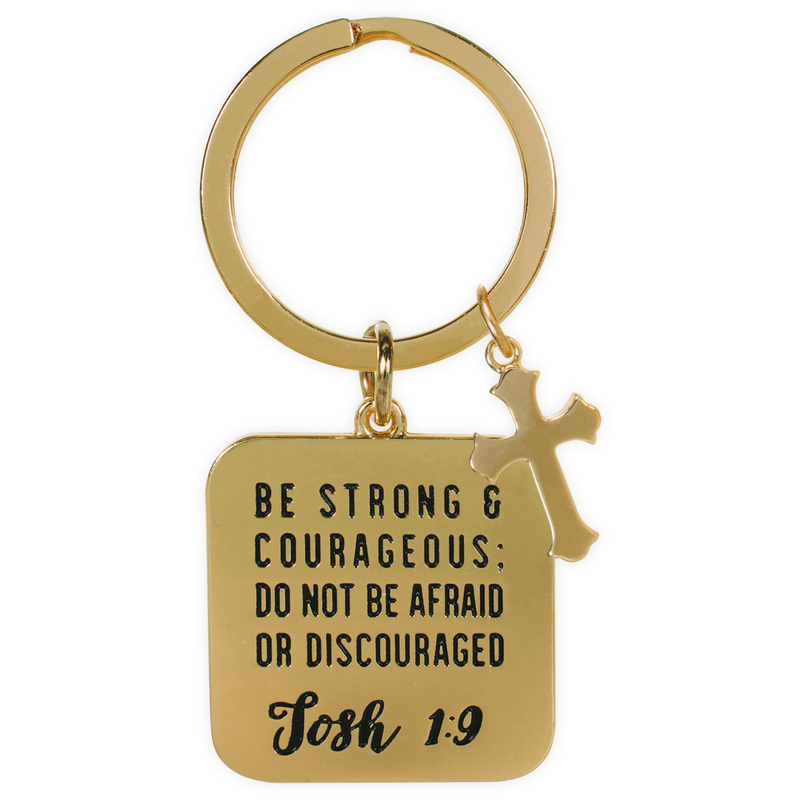 Joshua 1:9 reads "Be strong and courageous: do not be afraid or discouraged." 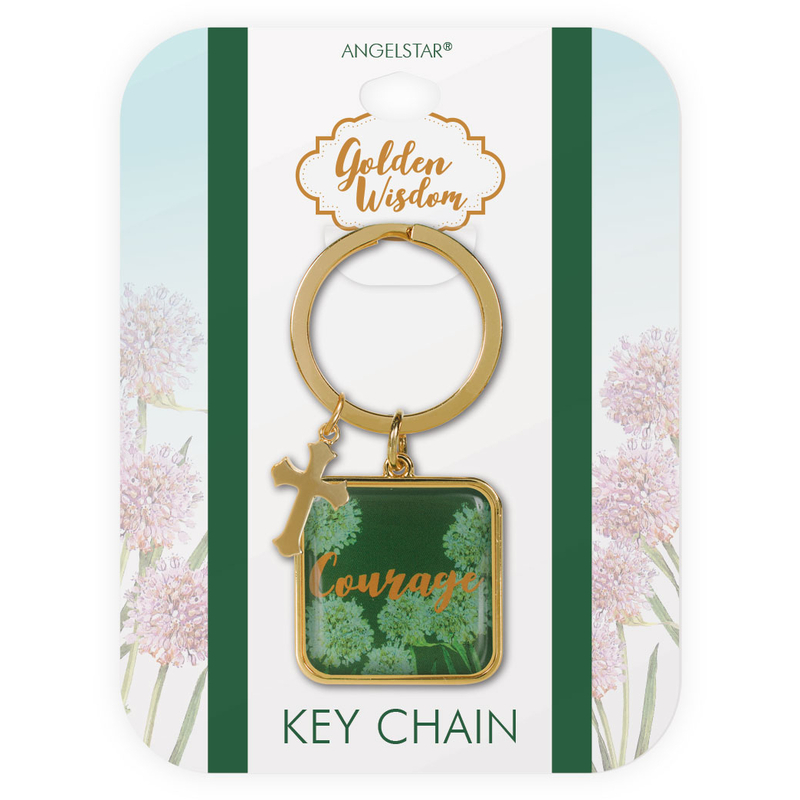 Our Golden Wisdom key chains remind you to let His word light your way, and these stunning gold Key Chains are a great reminder for your keys or purse. 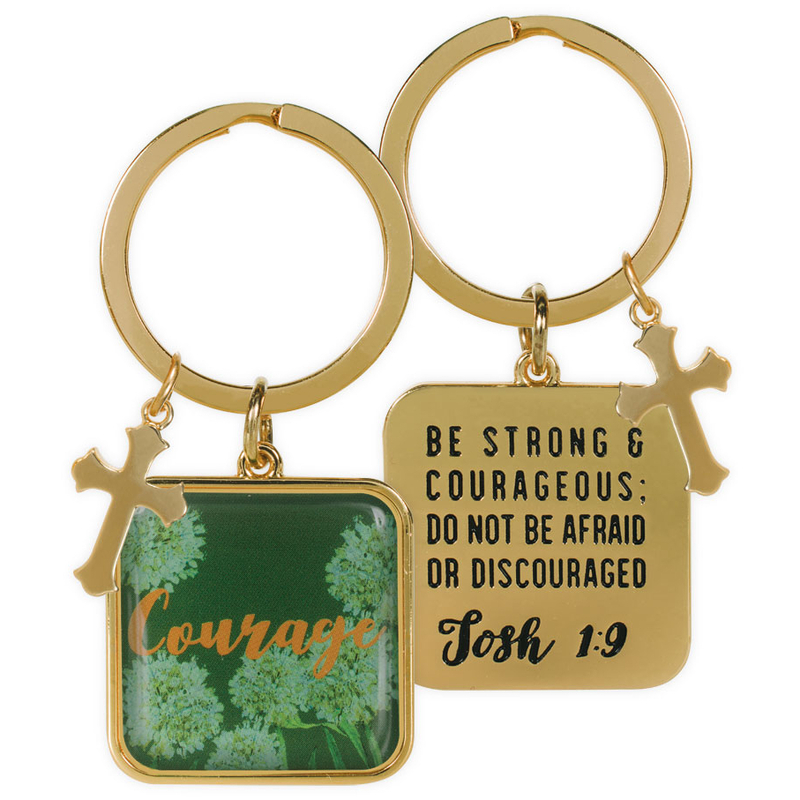 This Courage Key Chain features deep emerald green and gold on the front securely beneath a layer of epoxy, with Scripture engraved and highlighted in black enamel on the back. 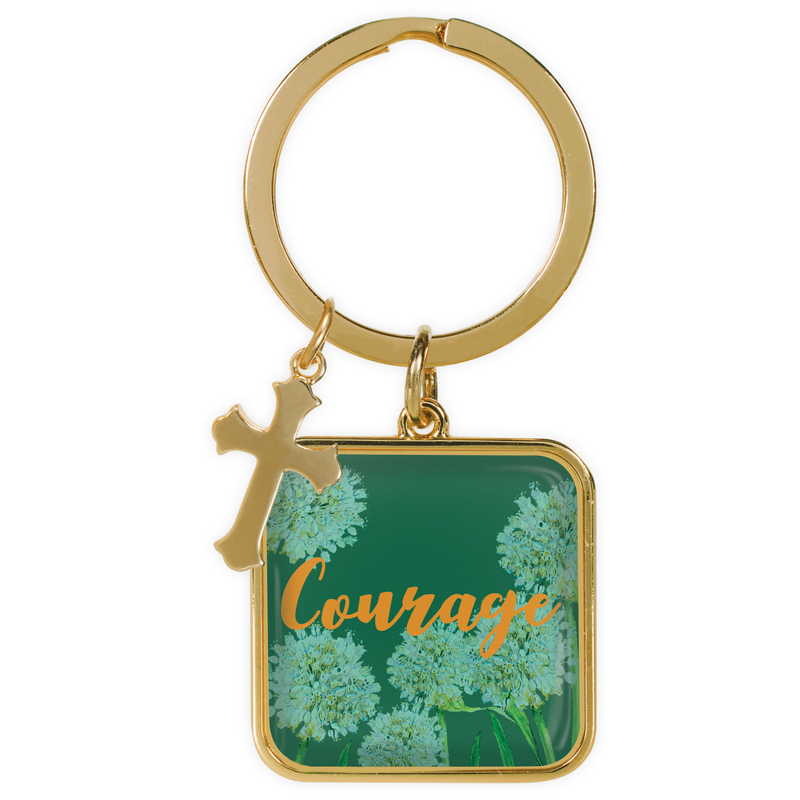 An elegant Cross charm hangs beside it as a soft accent to each Verse. 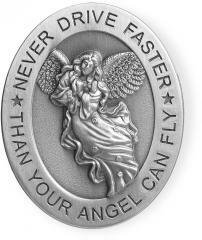 Key Chain is 2.5" high. 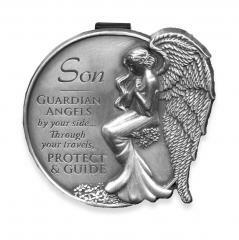 Cross charm is 3/4" long.